All of our beef is 100% grass-fed and grass-finished, raised in New York state without any hormones, antibiotics, or other medications. 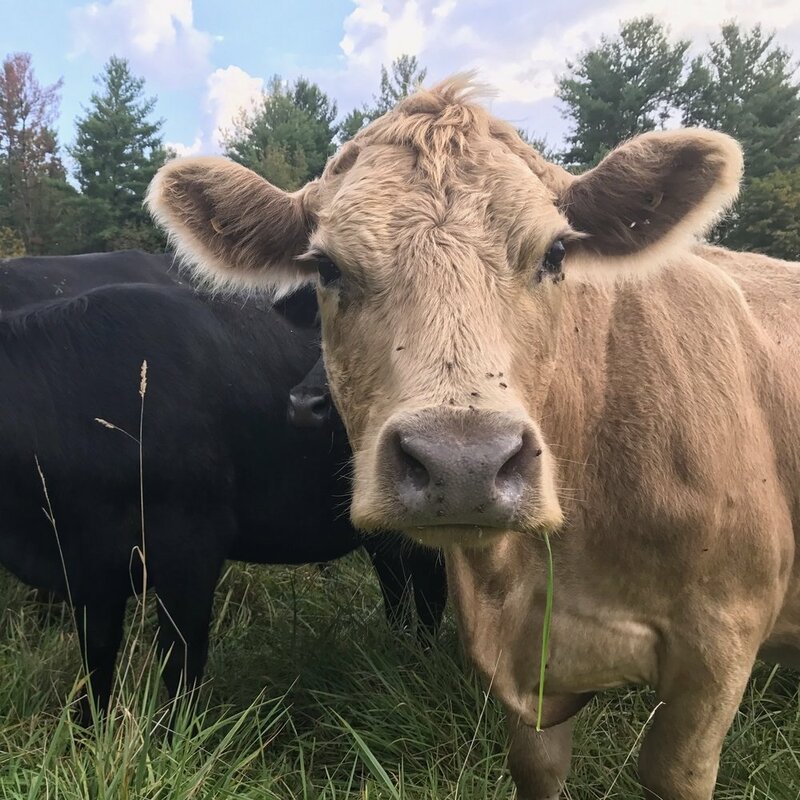 Our two main beef farms have 300-400 head of cattle that rotationally graze on 1,000 acres or more of lush, upstate grass that isn't sprayed or fertilized with chemicals. We only buy whole beef directly from the farmer. Those cows are sent to small, family-owned-and-operated slaughterhouses that kill a maximum of 25-30 beef per day. Before arriving at the shop, our beef carcasses hang at the slaughterhouse for a minimum of 1 ½ weeks; even the most inexpensive cuts you purchase from us are truly dry-aged!